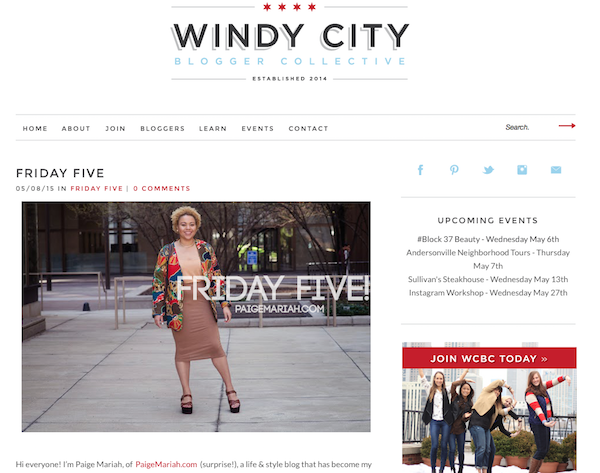 I had the opportunity to write the Friday Five post over on the Windy City Blogger Collective site last week! Each week, a different blogger gets to share their top 5 picks out of all the blog posts they've read from other WCBC bloggers. It's not too late to see who I chose and learn about some awesome new blogs! Check it out here!